Raymond "Ray" Roy of Stoneham took his last flight on August 17, 2015 at age 93. He was a loving and devoted husband, father and grandfather and will be missed by all who knew him. Ray grew up in Lowell and graduated from Lowell High School and Lowell State University. Peg and Ray met in 1945 while riding the bus between Lowell and Boston. Ray began flying very early in his life. His early flying included giving rides for $2.00 to any civilian who was daring enough to ride with him. Ray began his career in the Army Air Force as a flight cadet. He began active service in the Army Air Corp, during WWII, teaching Chinese officers basic flight training. At the end of WWII, he joined the Air Force Reserves and was activated again during the Korean Conflict. After the Korean Conflict, Ray joined Northeast Airlines and eventually, Northeast was acquired by Delta Airlines. Ray retired from Delta as a captain in 1981 and enjoyed a fabulous retirement with Peg, traveling the world and enjoying their family of 4 children, 11 grandchildren and 9 great grandchildren. Ray was the beloved husband of Catherine "Peg" (Hamilton) Roy. He was the devoted father of Kathleen M. Haley and her husband Keith, Donald R. Roy and his wife Karen, Linda J. Sacco and her husband Arthur and Barbara A. Roy. Ray was the cherished grandfather of 11 grandchildren and 9 great-grandchildren. He was the dear brother of the late Roland Roy. Ray is also survived by many loving nieces and nephews. Funeral from the Barile Family Funeral Home, 482 Main St. (RT 28), STONEHAM, Thursday, August 20th at 9am followed by a Funeral Mass celebrating Raymond's Eternal Life in St. Patrick Church, 71 Central St., Stoneham at 10am. 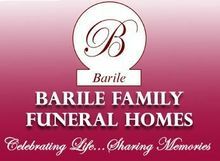 Family and friends are cordially invited to gather and share memories with the Family on Wednesday, August 19th from 4-7pm in the Funeral Home. Parking attendants and elevator are available. Interment at Saint Patrick Cemetery, Stoneham. Safe travels and sleep well Ray. On behalf of the Delta Golden Wings, the fraternal organization of retired Delta pilots, of which Capt. Roy was a member, I wish to extend to you the condolences and sympathies of our members at his passing. Capt. 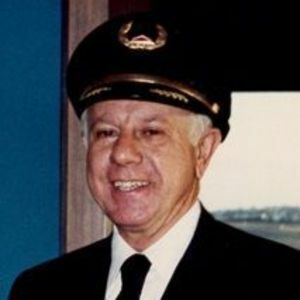 Roy was one of Delta Air lines' oldest pilots. The bond of friendship and respect from time shared in the cockpit as airline pilots is an enduring one that transcends all time. His spirit will now be a companion to aviators through the ages. There a some people you never forget and Ray was one of them. I flew with him a lot when I was based in Boston. I'm sorry for your loss, Harvey Shulman the last NEA pilot.